WHAT’S BETTER THAN A TEAM OF VENDORS THAT WORK TOGETHER TO CREATE THE BEST EVENT POSSIBLE? Nothing. Since Elite Sounds has been the in-house entertainment provider for 2016 Main, brides and grooms can’t stop raving about how well our services pair. 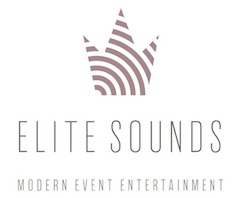 Whether you book with 2016 Main, one of our other in-house partners or an independent venue, Elite Sounds always puts on a quality performance.